Why Do So Many Men Have Ginger Beards? 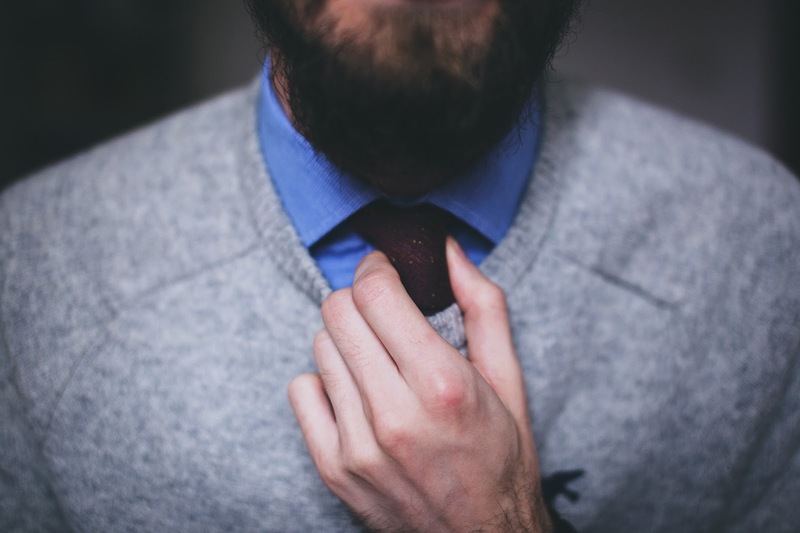 Do you have black, brown, or blond locks atop of your head but still play host to a touch of ginger in your beard? Don’t worry, orange tones often appear on the face either as a ginger tint in the beard or even as the domineering colour of the facial hair in men of a different hair colour but the question is – Why? Whilst not a lot of research has gone into hair colour it is understood that you require two recessive alleles to possess ginger head hair, one from mam and one from dad, but it only takes one of those ginger alleles to have an orange beard. Whilst you were probably never told you only need one for a ginger beard the rest is basic science that is taught in school. But despite what you may have been taught in biology class hair colour is not strictly determined by one gene from mam and one from dad. It is in fact a lot more complicated than that – as science often is but we will do our best to explain it. Your DNA and genes determine the pigments you have and the quantities of them and it is these pigments that dictate what hair colour you have. In essence your hair colour is decided by a multitude of gene combinations which can express themselves differently in different people. The wonderfully complex nature of hair means that not only does so many peoples’ seemingly change over time (and we don’t mean turning grey that one happens to us all) but it can be a different colour in different places. This doesn’t mean you will necessarily have a black mop on top of your head, rock a ginger beard and boast blond eyebrows but you know what we are getting at. when you think about it, it is unsurprising that your head hair can differ in colour to your beard. Beard hair is very different to our head hair. It looks different and feels different and as such it abides by different rules including what colour it takes on. Here we can see a family tree showing two parents with three children together. Each member of the family has the two alleles for hair colour displayed. The children’s alleles are all a combination of one from each parent. As shown the first child has received ginger alleles from each parent and she will have ginger hair. The second child has received two brown alleles and so will have brown hair. 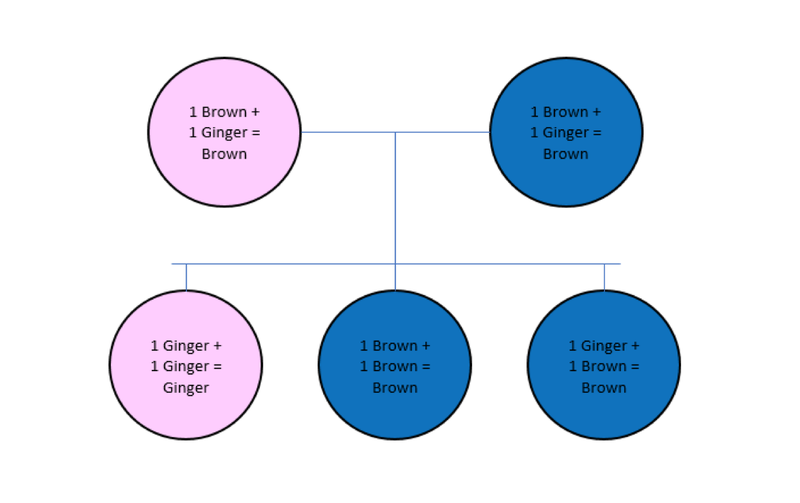 The third child has one ginger and one brown allele, the singular ginger allele will not be enough to produce ginger head hair meaning his hair will be brown but this child could potentially to grow a ginger beard thanks to this lonely ginger allele. Unfortunately, we cannot give a better answer than that, that is all that the research into hair colour can tell us. Having a ginger beard is not associated with an illness so it is not a priority when it comes to research. But we know a thing or two about the science of rocking an awesome beard so here is some of our research around ginger beards. Ginger beards are best flaunted, if you have orange facial hair don’t be a baby face express yourself with an awesome red beard. As with all beards, ginger beards love to be groomed, they also love beard oils and beard balms and above all they demand respect. Having a kickass ginger beard is a privilege and is sure to make some others envious of your awesome face fuzz but remember with great power comes great responsibility so it is your duty to treat your beard right.